If you’ve received a settlement agreement, you may be wondering how much tax you will have to pay on the payments you’re being offered. The short answer is, as little as possible, provided the settlement agreement is drafted well. If you use up your holiday entitlement, work your notice period, and your payment is under £30,000, then probably nothing! The amount of tax you pay will of course make a big difference in the amount you eventually receive, and the last thing you want after agreeing a settlement you are happy with is to find out later on that you’re not going to get what you thought. The rules on taxation of payments made to you by your employer, including in settlement agreements, are covered by the usual tax legislation, namely the Income Tax (Earnings and Pensions) Act 2003 (ITEPA2003). When you’re leaving a job, whatever payments the company make to you are called “Termination Payments” by HMRC, regardless of whether they are redundancy payments, compensation for unfair dismissal, pay in lieu of notice (commonly abbreviated to PILON), payment for holiday accrued but not taken, or simply payment of the wages owed. As long as the payment is made because your employment is being terminated, for whatever reason, then the tax laws covering Termination Payments will apply. Ex gratia just means, “as a gift”. In the case of tax law and employment, it means your employer was not obliged to pay it under the terms of your contract of employment (with the exception of redundancy payments). Often your total settlement payment will be made up of several different payments. Some of these may be ex-gratia, some will not be. A statutory redundancy payment is a payment that you are legally entitled to when your employment ends by reason of redundancy. It is calculated by reference to your length of service, weekly pay and age. It is also subject to a cap. You can calculate your entitlement on this government website. Any statutory redundancy payment you receive can be paid tax free in full. Your employment contract may entitle you to receive more than the statutory minimum if you’re made redundant. This is known as a contractual redundancy payment. If you’re receiving a contractual redundancy payment, the balance over the statutory amount will be taxable. The law used to allow employers to make contractual redundancy payments tax free up to £30,000. This changed in April 2018. HMRC has made clear that contractual redundancy payments are taxable. If you are receiving a redundancy payment that includes both statutory and contractual amounts, it is helpful if these are listed separately in the settlement agreement. This avoids confusing tax free payments with taxable payments. If you are receiving a payment in lieu of notice (“PILON”), that payment must be taxed as though you had worked your notice. In a settlement agreement, employers are required to split a termination award between amounts that are taxable earnings (such as a PILON) and amounts that are subject to the £30,000 tax exemption. Because wages due to you are part of your earnings, and not really to do with your leaving, they will be taxed as usual. Payment for holiday not taken will be taxed. If you had taken the holiday, and got paid, then that payment would have been taxed in the normal way, and so it is still taxable when paid as part of a settlement agreement. 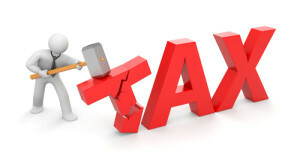 Usually, compensation payments connected to the end of your employment will not be taxable. A restrictive covenant is an agreement that you will not do certain things within a certain period after leaving or within a certain distance from your old place of work. Such agreements are usually concerned with your not taking business away from your employer. For example, if you leave a hairdresser’s salon, you might agree not to open your own salon within a mile of your employer’s salon for a year after leaving. Payments for agreeing restrictive covenants are considered to be earnings and are taxable. If you have been treated less favourably because of a protected characteristic, such as race, gender, disability etc, you’re entitled to be paid compensation. For a full list of protected characteristics, click here. The compensation will usually include an element for injury to feelings, although it may include other factors, such as loss of earnings. The tax status of a payment for discrimination depends on a number of factors. If the payment is compensation for injury to feelings arising from discrimination and the discrimination is not related to the termination of employment, it can be paid tax free. Usually settlement agreements are used when the employment is coming to an end and so the basic rule that the first £30,000 can be paid tax free will apply. For example; imagine you were dismissed by Lloyds Bank and received a payment of £25,000 in a settlement agreement, then got a job with Scottish Widows but were made redundant some time later and received a redundancy payment of £15,000. The two payments must be aggregated before applying the £30,000 limit because Lloyds Bank and Scottish Widows are both controlled by Lloyds Banking Group. Your employer should know all the above, but that’s not a guarantee that they will have got it right. On the one hand, the bigger the company, the more likely they will have knowledgeable personnel. On the other hand, however, the more staff a company employs, the more likely they will have standard “boiler-plate” settlement agreements which will not be tailored to your own circumstances. For example, if you’ve agreed an ex-gratia termination payment with your boss, and the agreement comes through with some of the amount attributed to a payment in lieu of notice, then you will be taxed on that part unnecessarily. The good news is that in order for a settlement agreement to be binding you have to get legal advice which your employer will normally pay for, and your solicitor should spot mistakes like that. Lastly, do please be aware that whether or not various amounts making up your payment fall into one category or another is a matter of fact, which means that even if your settlement agreement states that a payment is for one reason, if in fact it is for another reason, then it could prove taxable after all. If that happens, HMRC are able to pursue you for any tax which is payable. What if I’ve already paid tax I shouldn’t have? It does work both ways! If you have paid tax on your payment unnecessarily, then you should reclaim the over-paid amount from HMRC. You need to do this within four years of the end of the tax year for which the tax was paid. You can ask them either to pay the money to you, or use it to set-off against future tax due. Next Entry: How Much Money Should You Get in a Settlement Agreement?